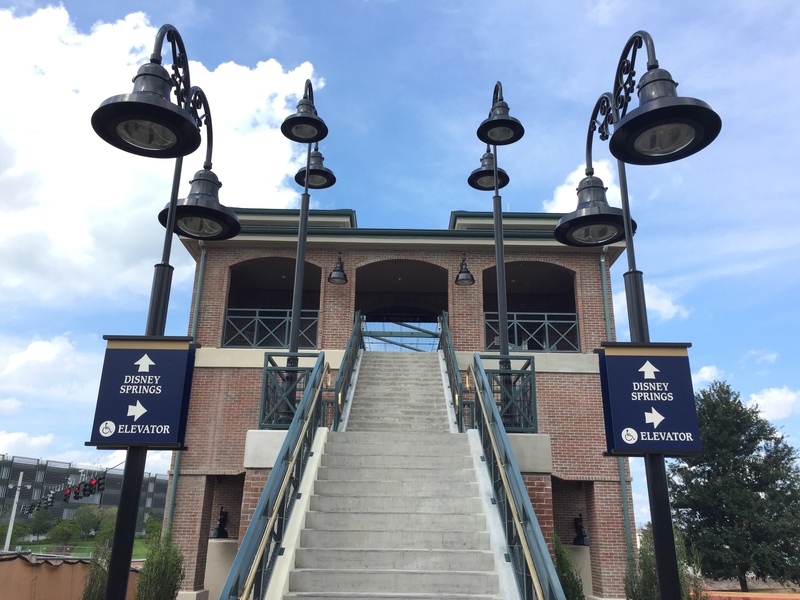 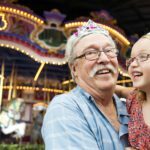 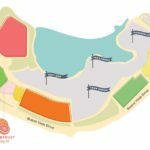 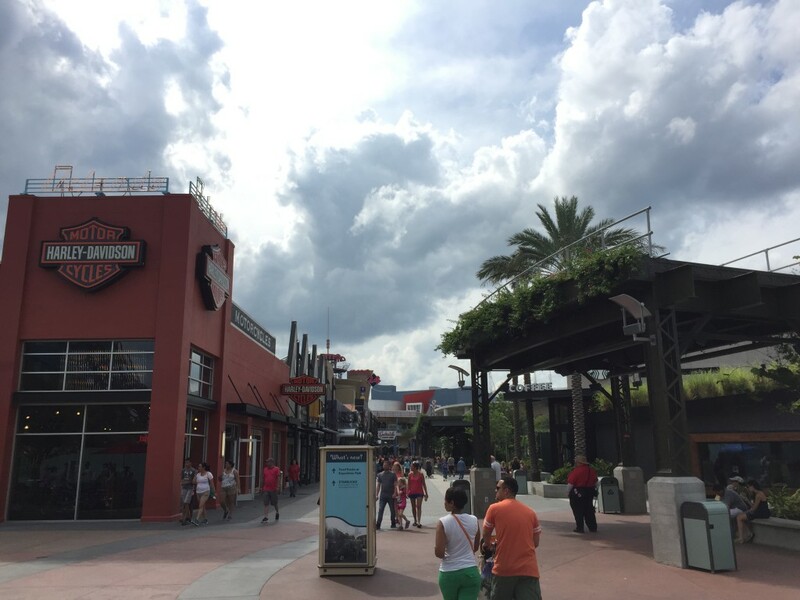 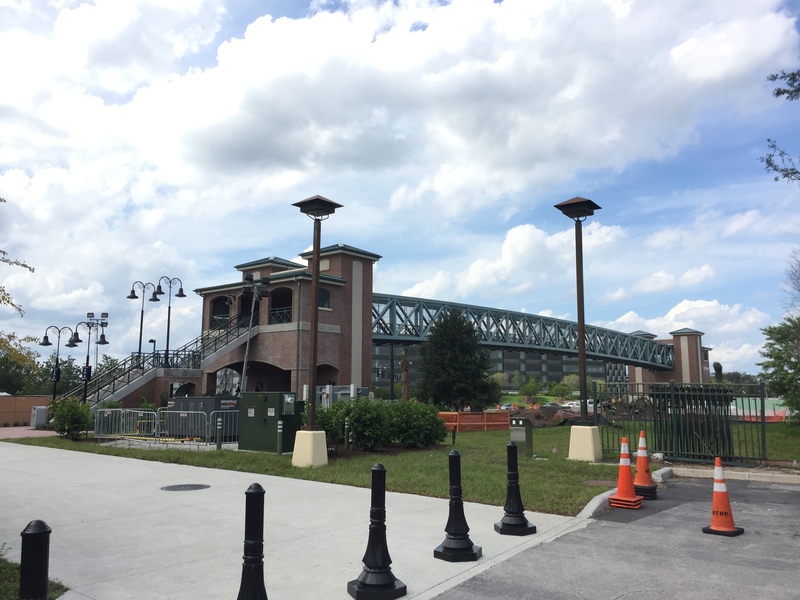 Another milestone in the evolution of Downtown Disney into the new Disney Springs was celebrated on September 14th as the first pedestrian bridge was opened. 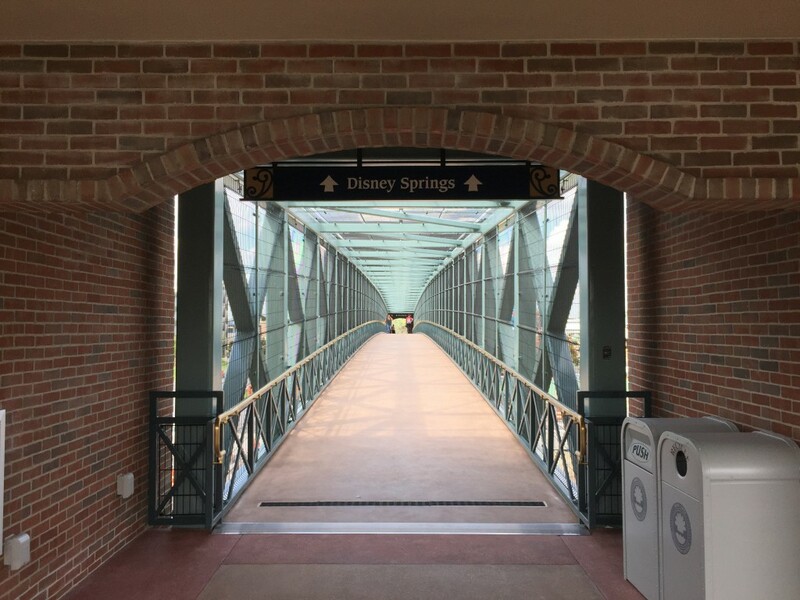 The bridge spans the expanded Buena Vista Drive, connecting the Team Disney building (used for overflow parking) and a walkway near the Orange Parking garage. 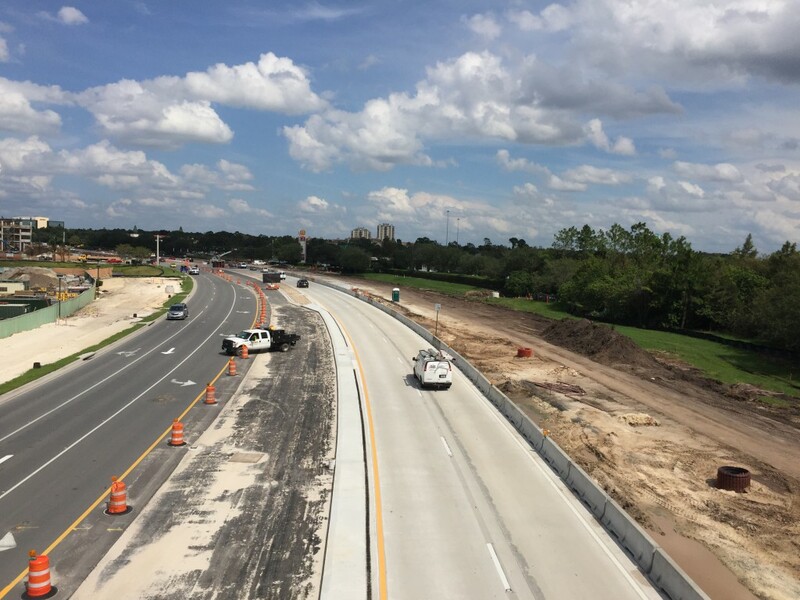 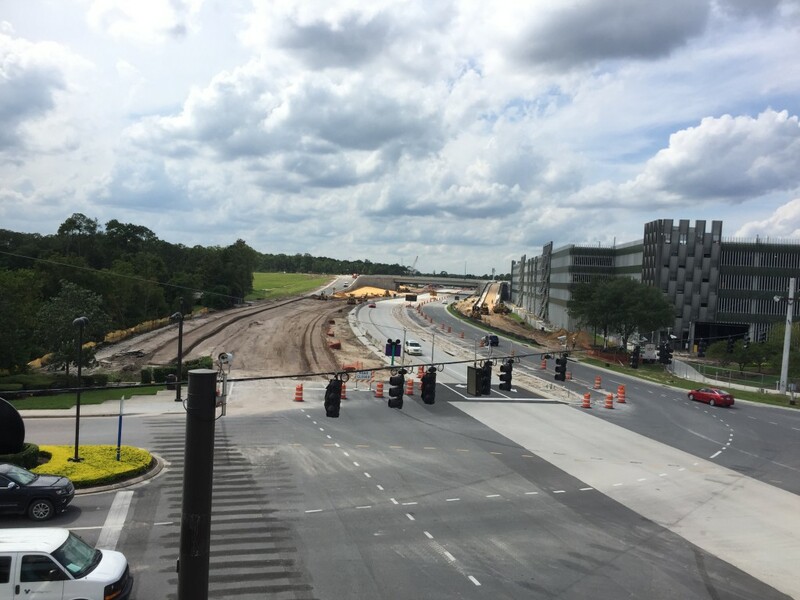 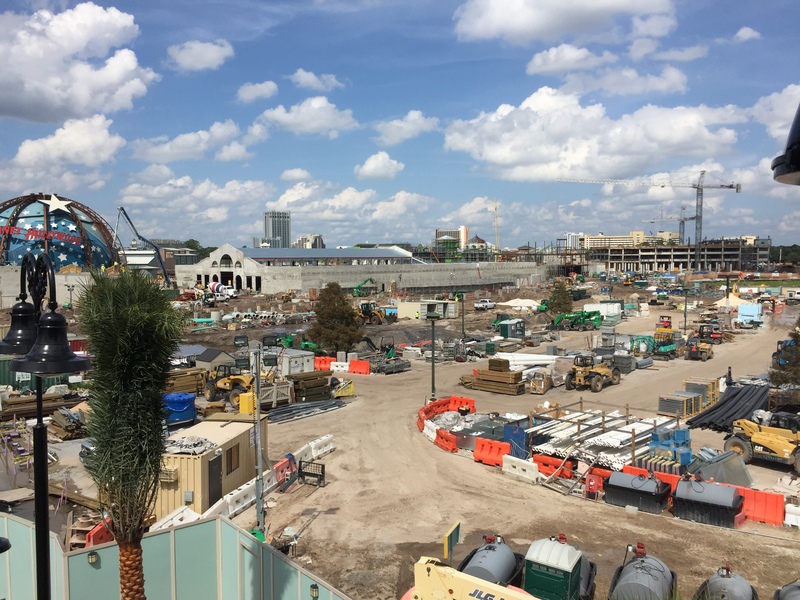 The bridge, while serving the purpose of helping alleviate the ever-growing foot traffic across a very busy road, also gives some great views of the construction going on not only on Buena Vista Drive but also the Town Center area of Disney Springs. Heading into Disney Springs for a quick look around, we see that the Westside is still pretty much the same as it has been for the past few months with the exception of more of the “L” train tracks. 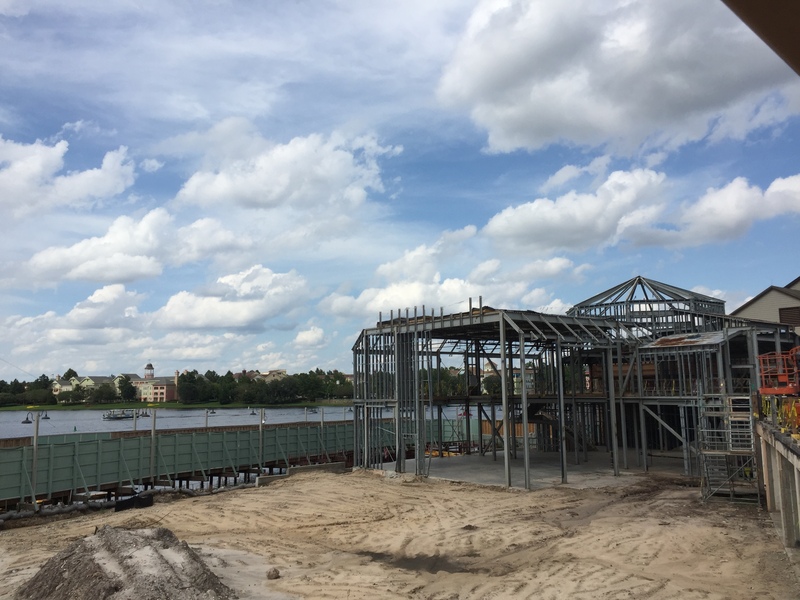 Moving toward The Landing (former Pleasure Island), we see the skeleton of the once proud Adventurers Club waiting to be part of The Edison in the coming weeks. 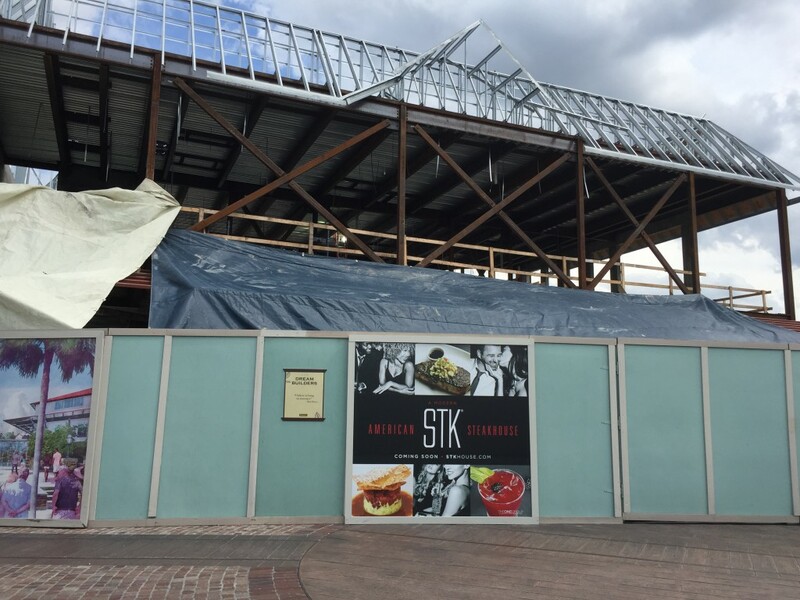 In the former location of the Comedy Warehouse, we have STK American Steakhouse taking shape. 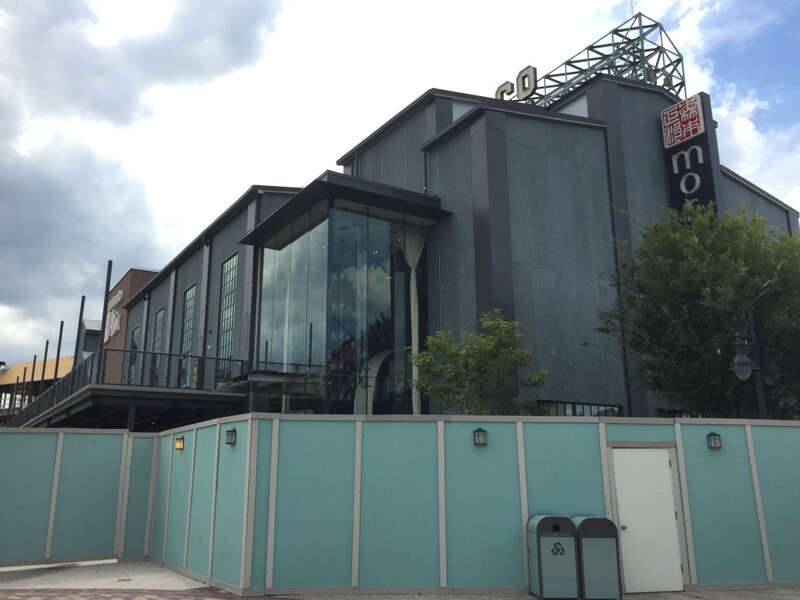 Meanwhile, the home of Morimoto Asia restaurant is very close to completion and staff is currently training. 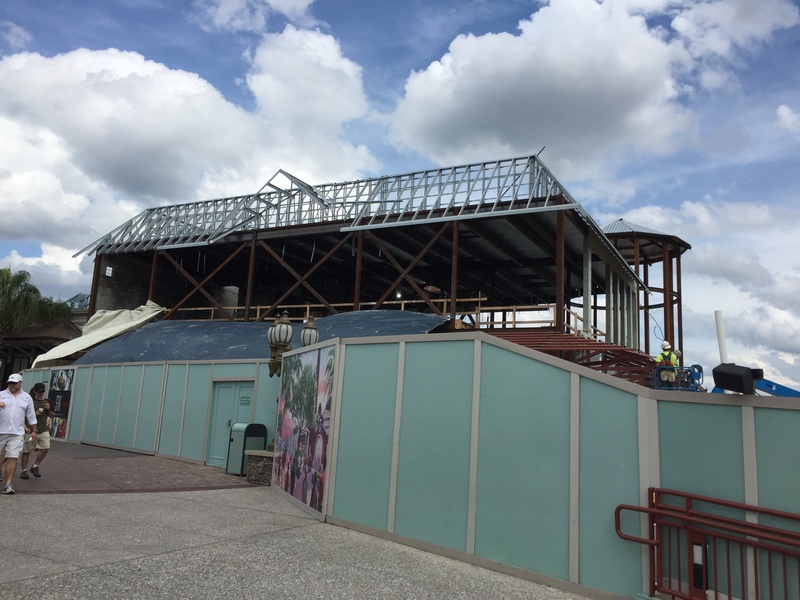 But the biggest news came in the form of an opening date of the Indiana Jones themed Jock Lindsey’s Hangar Bar: September 22. 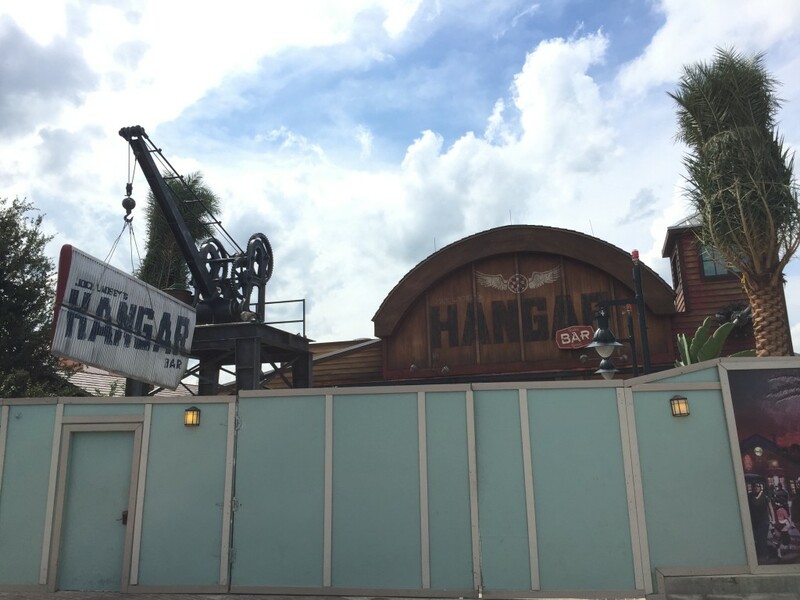 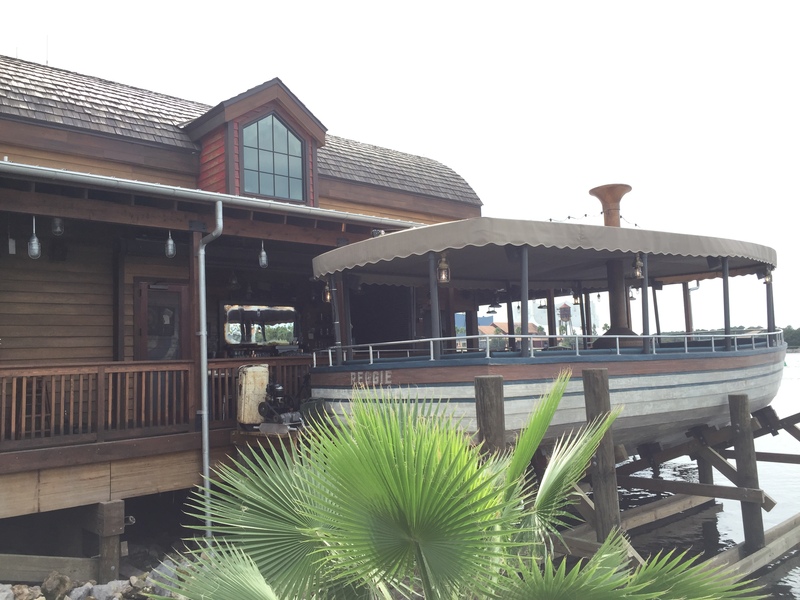 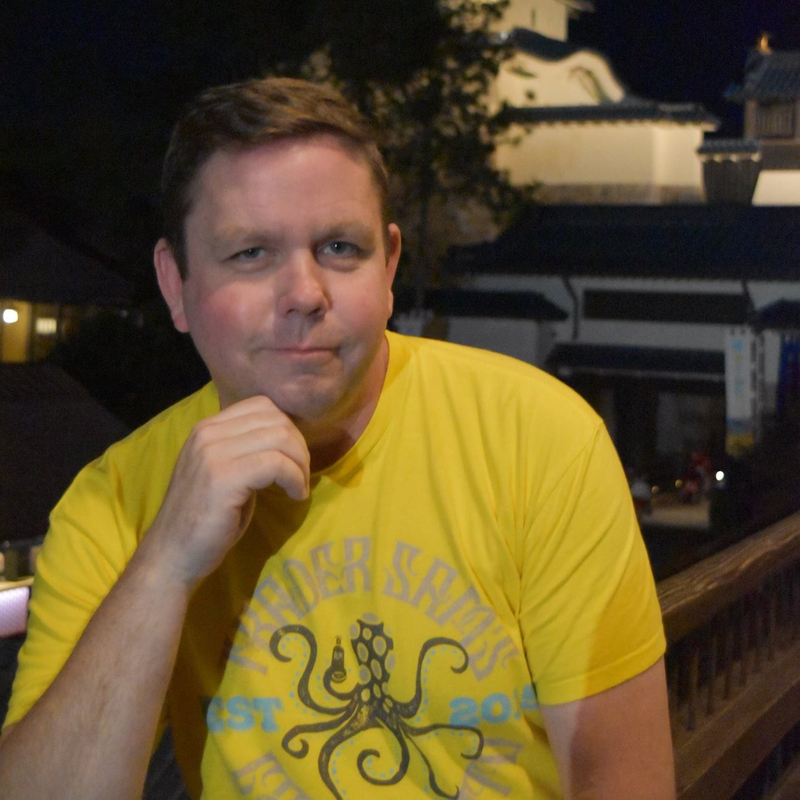 That’s it for now, but be on the look out for a full report on opening day of Jock Lindsey’s Hanger Bar next week!